Guilin Private Tours mainly specializes in tours around Guilin Yangshuo area in Guangxi, one of most popular areas for visitors to China. We cater to the needs of individual tourists as well as small tour groups including families, friends and business colleagues. Tourists can experience the main attractions offered by Guilin Yangshuo Longji Rice Terraces, Nanning, Detian Waterfall and Guizhou Minority area as well as places and activities not normally offered to tourists. We can customize private tours, tour itineraries and tour packages to meet your specific travel needs. We also organize private car service from Guilin to Guizhou, Yunnan, Sichuan, Hunan Provinces, etc. Guilin is reputed as one of the most scenic areas in China and is a must-visit travel destination during your trip to China. Please read more about the reviews from our tourists and our team. These tours are designed for the tourists who like staying in the city in a comfortable hotel with easy access for the tours around Guilin city, Li River Cruise, Yangshuo, Longji rice terraces, Sanjiang Chengyang Wind and Rain Bridge and even to Guizhou. 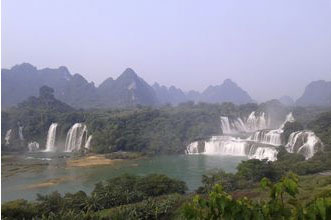 It is also convenient to the Guilin airport and Guilin Train and Bus Stations. One of the most scenic part of Guilin area, these tours offer the tourists who would like to stay in the small town or the village and see the local people’s daily life and the natural beauty. 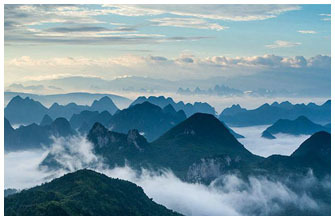 It is easy to enjoy other tours from Yangshuo, you can do the hiking,cycling tour,rock climbing, kayaking,white water rafting, cave exploring, bamboo rafting etc. If you are a photography lover, we can arrange a wide range of photography tours to cater your needs. Our tour includes the most photogenic places in Guilin area, such as Yangshuo, sunrise at Li River, Longji rice terraces, Huangyao Old Town and climb up to the top of the hills to photograph sunrise or sunset. Guizhou is located in the southwestern part of China and near Guangxi, it is home of Miao Minority with lots of festivals. This tour offers the chance to not only to see natural pastoral landscape but also see the Miao,Dong Minority People’s social structure, life style, customs and cultures. You can start the tour from Guilin to Guiyang or Guiyang to Guilin. 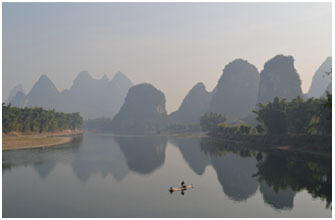 Guangxi is located at south of China and not only well-know for its karst scenery as well as its Minority Groups. The mains sights include Guilin city, Li River Cruise, Yangshuo town, Longsheng /Sanjiang, Mountain town and gateway to many minirity villages, Liuzhuo City, Nanning Detian Waterfall, Beihai Seaside scenery. 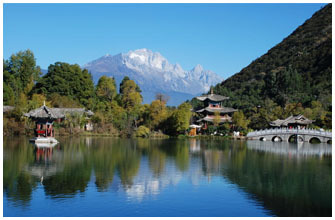 Yunnan is a place full of stunning landscape and rich culture. It is home of 25 minority groups, You will feast your eyes on beautiful lakes, clear rivers, grand range mountains, old towns, forests and ethnic group’s daily life, etc. It is one of must -see place for your tour to China. During your visit to China, Guilin is a must-see place where you will feast your eyes upon breathtaking landscapes and our colorful culture comprising of traditional daily life and the many different ethnic groups that are real China. The first time tourists to China usually visit Beijing,Shanghai, Xian and Guilin. 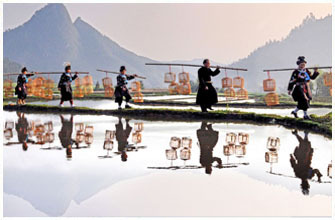 Guilin is the only place where you have opportunity to experience the natural beauty and daily life of rural China. We arrange all your travel needs to Guilin, Yangshuo, Huangyao, Longji Rice Terraces, Sanjiang Wind and Rain Bridge, Zhaoxing Dong Village, Xijiang Miao Village, Guizhou Huangguoshu Waterfall, etc. 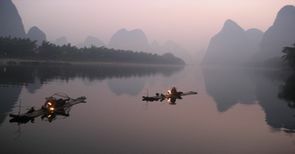 Guilin Li River is reputed as one of top 10 watery wonders by the National Geographic Book and reputed one of the World's 15 best rivers for travelers by CNN.